In the summer the waters off of Isla Mujéres Mexico are filled with dozens if not hundreds of whale sharks, it's amazing. In winter hundreds of sailfish come into feed on schools of sardines - also amazing. I've been fortunate enough to visit during both seasons, and just returned from checking out the sailfish again after about a 9 year absence. It was a short trip with only 3 days on the water and I came up empty the first 2 days. Bummer. The third day was great, except for the end which I'll get to in a minute. Typically the way to find sailfish is to watch for frigates feeding on sardine bait-balls at the surface and the sailfish are often feeding there as well. The action can get pretty crazy, not just from the sailfish chasing the bait-balls, but others trying to get in on mealtime. Almost every time we found sailfish, bonitos (a fish in the tuna family that are fast as hell) chased them away and had their way with the sardines. 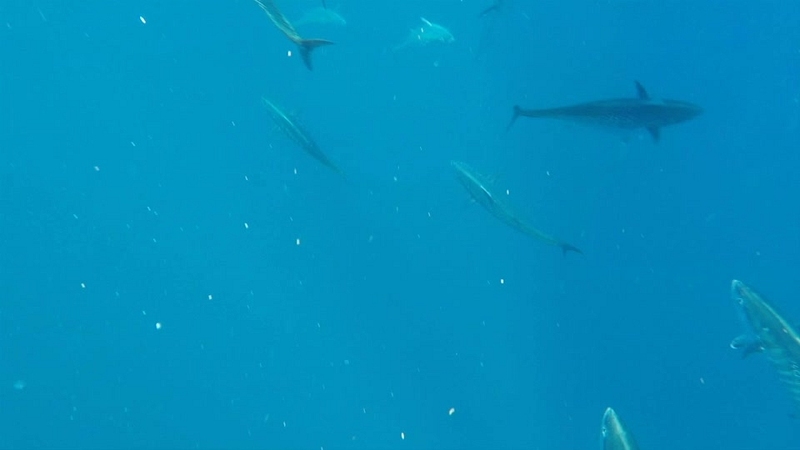 The sardines would take cover around me and other divers, which made things even nuttier with both sailfish and bonitos coming in to feed right on us. Myth buster time - sailfish don't spear prey with their bills, they injure fish by slashing their bills into the school. Usually knocking scales off and slowing them down enough to gobble up. You'll see fish scales floating around from them getting whacked in some of the photos and video. So the crappy ending that I referred to up top? Just as we were finishing up for the day, I fell into a railing on the rocking boat and fractured a rib. Glad it was the last day, but not fun. So yeah, please enjoy the pix and video - I went to a lot of trouble to bring em home! A couple of notes: You can click to start and stop the slide show. 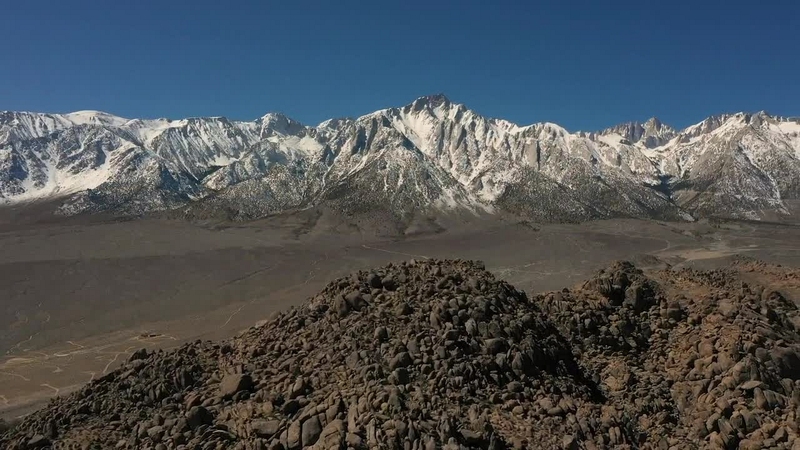 The video ( below the pix) is from a GoPro attached to the top of my still camera housing. It's mostly incidental footage, so cinematography was not top of mind. That said, you can enjoy most of what I mentioned above. About once every year or two I remember that Death Valley is only about a four or five hour drive from my house, and feel like an idiot for not spending more time there. A couple of weeks ago was one of those times, and now I feel like an idiot for not staying longer. I expected nice spring weather. What I got was an epic wind /sand /dust storm that lasted about 36 hours. Sustained winds of 35-45 mph with gusts of 75 mph. I now know what's it's like to try to stand in 75 mph winds. It's not easy... or fun. And it doesn't do your cameras, or your face any good either. My final clue that I should probably pack it in for the day was when the glasses I was wearing took flight, never to be seen again. The good news is when the wind blows like that, there's no trace of footsteps left in the sand dunes the next morning, so with my spare glasses on, I made my way out to Mesquite Dunes for a great sunrise in the pristine sand. I couldn't have hoped for better conditions. Most of my short visit was between the dunes and Zabriskie Point. I spent the last night out on the Badlands salt flats underneath the stars. It may have been a rough time to go, but it's still one of the most amazing places I've visited. I just have to remember that it's close enough to visit more often. Well, I went back. I went back to Komodo for almost the exact same dive trip as last year. I got it in my head that I hadn't taken the dragon photo that I wanted. I started obsessing about how to do a better job of it than last year, and how, if conditions were right, I could get the shot of a lifetime. The part I forgot? Never bet on nature cooperating with any plans you make, especially in nature photography. So the day I showed up at the "dragon beach" on Rinca Island where I photographed the dragons last year, it was drizzly and overcast. The water was stirred up and not a little bit of trash had washed into the shallow water. Not great. The good news is that when nothing is as expected, you're going to end up with photos you hadn't expected. The first one in this series is a perfect example. I couldn't have thought that one up if I had a year to think about it... and I did. Thanks to my friend and guide Foued for keeping me alive while trying to shoot these images. More on the diving below the dragon pix. The diving in and around Komodo National Park was as great as I expected. This time of year isn't known as the best, as the currents are different and the visibility isn't as good as it can be. That said, I had a great experience. A few sites had some of the strongest currents I've dived in, and made for wild dives covering ridiculous distances riding the currents. (it's futile to fight some of them & sometimes just as futile to try to photograph anything) We also saw more mantas at couple of the sites than I've seen anywhere. At one site we lost count after 26 or so. Here are some highlights from the 10 days of diving. In that old tradition of looking backward instead of forward, it's time for another year in review. My timing is pretty good - as of my writing this there's about 9 hours left in 2017. Since I don't anticipate any more photo trips in the next 9 hours, I thought it was safe to go ahead and try to put something together. Funny, looking back I did a lot more than I thought, maybe because a few of the trips were relatively local which is something I'd like to do more of. Some really exceptional experiences to look back on for me, and to once again realize how lucky I've been to see some of the things I have. First up was the insane Super Bloom we had here in California this past spring. After years of drought, dormant flower seeds got the rain they needed to grow and put on a show. I made a quick trip a few hours north of LA to Carrizo Plain National Monument to take in the view. In July/August was a marathon trip to Kenya and Egypt. An amazing safari in Kenya during the migration season. We saw more action and different life than any other safari I've been a part of. Most days we found ourselves out on game drives for 12 hrs straight as it never let up. It was exceptional. Egypt was new for me, and I didn't do it justice at all, but visited Cairo, Giza and the Sahara. Of course the pyramids were great to see, but getting out into the desert was probably the highlight for me. I hope I can get back there soon, there's so much to see and the people were terrific. I still haven't done a proper post on Egypt, but it is on the schedule. I still don't know how to describe seeing the total solar eclipse. I went up to Casper Wyoming and... well... I guess you had to be there. Fall foliage in the Rockies? What's not to like? A few days in Telluride in peak season was beautiful. And I just returned from a dive trip to Indonesia a few days ago. This is a preview of a post I'll be doing soon on the trip. Highlights were watching Mt. Agung do a bit of erupting, and as usual, the diving around Komodo was exceptional. Of course I made a stop to check in on the dragons again as well. I have no idea what's in store for 2018, but we're looking back right now aren't we? Hi folks, I'm happy to announce some new images that are now available for purchase. 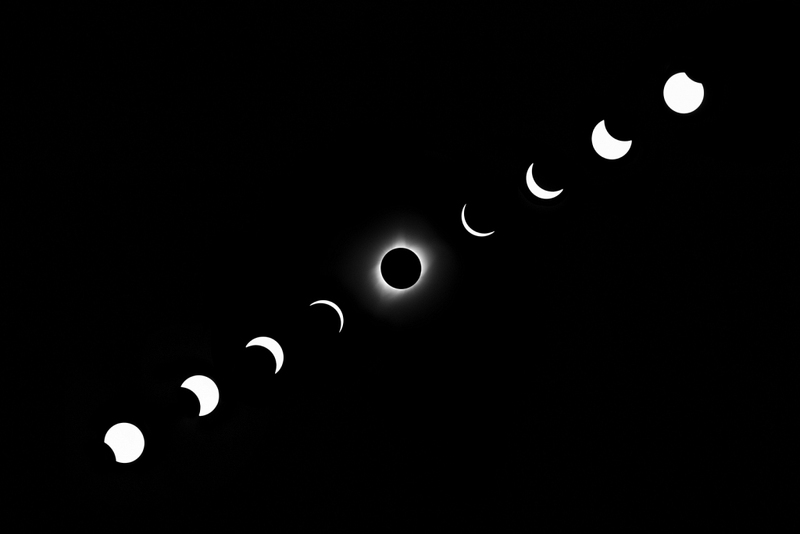 I have a nice new composite of the total solar eclipse that I captured in Wyoming this past August, that is making for a really great print. I also have a new series of Sahara Desert shots, some new images from Kenya that I'm really happy with, including a new edition to my "giraffe series", and more. Please take a look below, and let me know if there's something I can get for you in time for the holidays. Thanks ! I wanted to interrupt my flow of posts from my recent African trip with a post of my recent Colorado trip. At the end of September I made it out to Telluride just in time for the last bit of fall color. The aspen trees were peaking in some parts and past peak in others, depending on how cold and windy things were. I'm not sure I remember being in a place where it was actually hard to take a bad photo, but this was right up there. Next week, I'll be back with some more from Africa. This oughta hold you until then! You've probably heard about the rains that finally came to California this winter and by all accounts put a major dent in the long drought. Well that's good news, because when lots of rain hits after a long drought, the long dormant flower seeds in the soil finally get a shot. They call it the "super bloom", and this year's was fantastic. A couple of weeks ago I made a run up to Carrizo Plains National Monument, about 3 hours north of LA to check it out. I put a few photos here to save you a trip. There's also a short aerial video at the end. You can click on the photos to stop & start the slideshow. I'm finally getting through my underwater pix from my December trip to Indonesia. While I had a great experience with the Komodo dragons on the beach, (see last post) most of my time on this trip was spent exploring the reefs in and around Komodo National Park. It's a bit of a voyage from Bali to get there - about a day and a half at sea before diving. It was worth the wait. For me it was especially good since it was my first time in the water in 2 years. (another story for another time) December is technically considered off-season around Komodo, but there was still plenty going on. Of course, the other side of being there off-season is that you often have the dive sites to yourselves! And it's even better when there are only 4 other divers with you. Having dived in Indonesia quite a bit over the years, I was familiar with a lot of the life I saw, but there's always new and amazing stuff to find. The reefs were healthy and fishy, but with a noticeably small number of sharks around. Always sad to see the depletion of sharks when diving, especially in the waters of a national park. There was tons of other life just about everywhere, but one of the highlights of this trip had little to do with fish or coral and had lots to do with diving next to a volcano. Sangeang Island is an active volcano north of Komodo, off the coast of Sumbawa, which had it's last major eruption just 3 years ago. One of the dive sites there is appropriately named "Hot Rocks", with active gas vents bubbling out of the sand & reefs. The "ring of fire" has some pretty cool stuff. Enjoy the photos. I included a little video clip of the gas vents as well. Just another day at the beach... with Komodo dragons. I've done shoots with a lot of apex predators: white sharks, big cats, grizzlies... but this was different. The dragons are unpredictable and maybe a little crazy. They changed direction and more importantly, intent as quickly as anything I've seen before... which is a dicey thing when your plan is to get as close as possible without dying. Notice I didn't say as close as possible without getting hurt. That's because if they bite you, you can be pretty certain you'll die. They have what is thought to be the most toxic bite in the world. They feed on resident deer and buffalo on a few islands in Komodo National Park - biting them and then following them for days or weeks as they slowly die from the toxins in the bite's saliva. I naively thought that sort of time frame would help me by giving me time to get to a real hospital if things went sideways. Singapore was at least 6 or 7 hours away under the best circumstances. I was assured by my guide Foued that I would be dead within a few hours. "Andy, deer and buffalo weigh 4-8 times what you do, you would hardly have time to say goodbye." Ahem. Before the bear tracking part of the Alaska trip, I spent a few days exploring the glaciers and trails near Seward. I wanted to get a little landscape work in, as well as get my hiking legs under me for chasing bears the following week. I hadn't really thought much about the glaciers beforehand other than as a photo op. I ended up learning a ton about climate change and ice formations. As I'm sure everyone has heard, the glaciers are receding at a pretty brisk pace. I had heard that too, but it's pretty startling to see what's happening in person. The most dramatic example was probably at Exit Glacier where the park service has installed signs marking where the glacier foot has been located over the last 100 years or so. When you start your hike in what appears to be old grown forest with 40-50 ft trees, and see a marker for "1917" you can't help but get the idea. The final marker is where the foot was in 2005, and from what I was told it was still a tall glacial cliff at that time. You can see in one of these photos what it looks like now. I also hiked on Godwin Glacier, dropped in by helicopter, which was a great adventure, and spent a good part of a day on Tonsina Trail through rainy forests, grabbing handfuls of wild blueberries along the way, ending at a foggy Tonsina Point with salmon running and bald eagles tending to their young. All great experiences in spite of some dicey weather. Like I said in the last post, I only scratched the surface of Alaska. It would take dozens of trips to get to all of the places I'd like to see. These photos are all from around Seward except one sunrise image from a great morning in Lake Clark. A big shout out to Sage Asher - my amazing guide for this part of the trip - dragging a cranky old photographer around the trails for a few days in spectacular fashion. Well, I finally made it. After years of wanting to get to Alaska, I finally got there. I was there for two weeks and hardly scratched any reasonable idea of the surface of the place. But it was beautiful and exciting... and beautiful. I'm a sucker for mountains, and surprise surprise, they have a bunch of em. I'm already looking into going back to see more. I could go on, and may at a later date, but I should probably focus on grizzly bears. I spent about a week in Lake Clark National Park, where there's a healthy population of grizzlies. My time was spent along the shore, where the bears are pretty habituated to humans, so the danger level was a little more reasonable. By reasonable, I mean since the bears are used to seeing people often and there's a pretty good salmon supply in the area, they are less interested in either attacking out of fear, or making a meal of us. That said, I practiced smart bear etiquette and did what I could to keep a bit of distance, even when they had a different idea. They are curious, and sometimes came within feet of us. We saw about 3 or 4 families (moms and cubs) and a few young individuals who seemed to be residents of the area. The guides were pretty familiar with most of them. Most of the time they were looking for salmon in the creeks or foraging in the marshes. The weather wasn't great, but the coast provided lots of different environments to shoot in, from the beach to the marshes and fields. Overall a great experience - can't wait to see more. Thanks to Chas Glatzer for his expertise up there ! A few shark highlights from the last few years. Nothing to be afraid of. Having been in a few of the world's oceans, I put a few images together in honor of World Oceans Day. Enjoy.